*This post is sponsored by BabbleBoxx.com. I don’t know about your men, ladies… but my man lovesss a good pen! It’s so funny but I also get it because having a nice pen that you can keep in your briefcase or purse is so convenient and also reliable too. I wouldn’t think to get my hubby a fancy pen for Valentine’s Day but I think it’s actually a really cool and unexpected gift! Men are so hard to buy for! 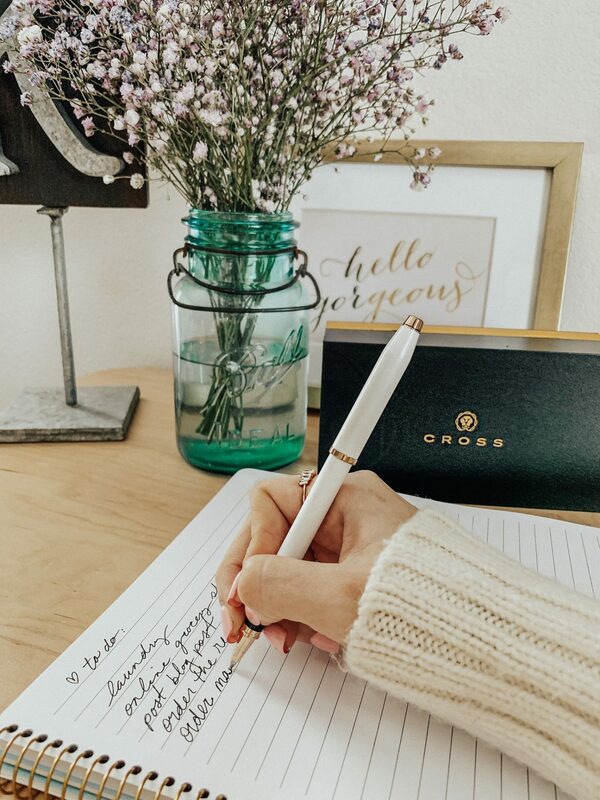 This rollerball pen is truly a timeless gift because Cross represents tradition and evolution. The balanced & weighted feel of the pen gives anything you write a sense of purpose. I think that would really help me feel more productive too! The pearlescent lacquer and rose gold PVD finish communicates the classic style that is the hallmark of the Cross brand. Click the link below to see more gorgeous color options and don’t forget to use the 10% off coupon code if you decide to purchase! The moment I opened these beauties I was beyond excited! I’ve been needing some new computer glasses for so long and the light pink with glitter is so dang cute! Show your eyes some love by protecting them from harmful blue light emitted from computer and phone screens. The Blokz lenses will help prevent your eyes from feeling irritated and tired! I’m wearing my pink ones as we speak and the quality is just amazing! Caught a selfie to show you what they look like on! See below. They also have some adorable red and pink sunglasses that are perfect for Valentine’s Day. 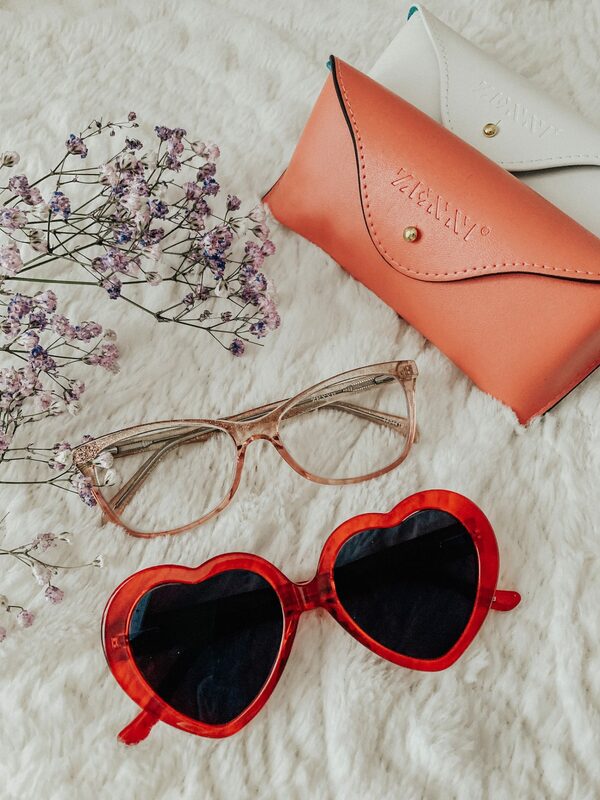 How fun are these heart sunnies?! I’m thinking this is a great gift for your galentine or momma! Okay, what a blast from the past! I think it’s safe to say that G-SHOCK is making a huge comeback right now! I’m obsessed with this adorable ladies watch they have on their site right now. The beige color is going to match all of my athleisure! These sports watches are geared towards influential, fashion forward women who like to express themselves through sportswear inspired style. I love the matte band and the rose gold metallic face! 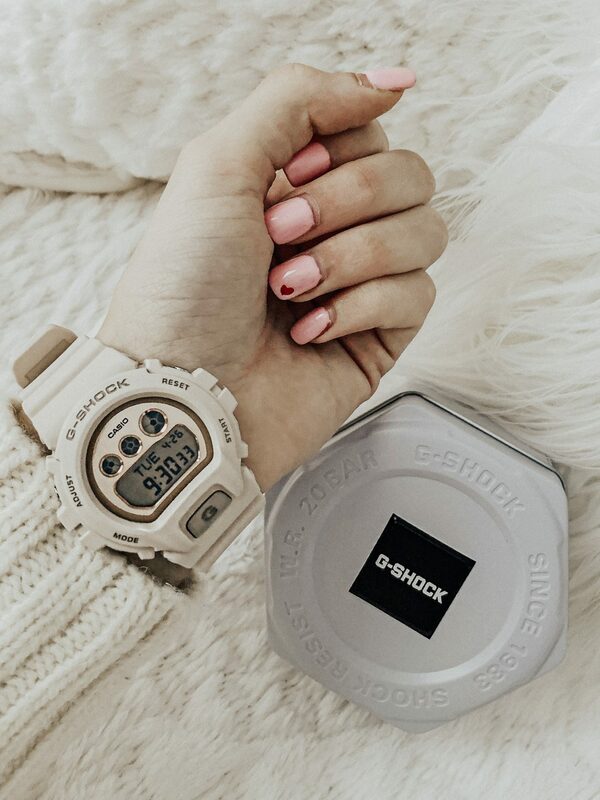 The G-SHOCK S Series is known for its absolute toughness including 200M water resistance and shock resistance. Other features include world time, countdown timer, flash alert and alarms. This watch also comes in black and grey too! I hope you all enjoyed this fun roundup of Valentine’s Day gifts! 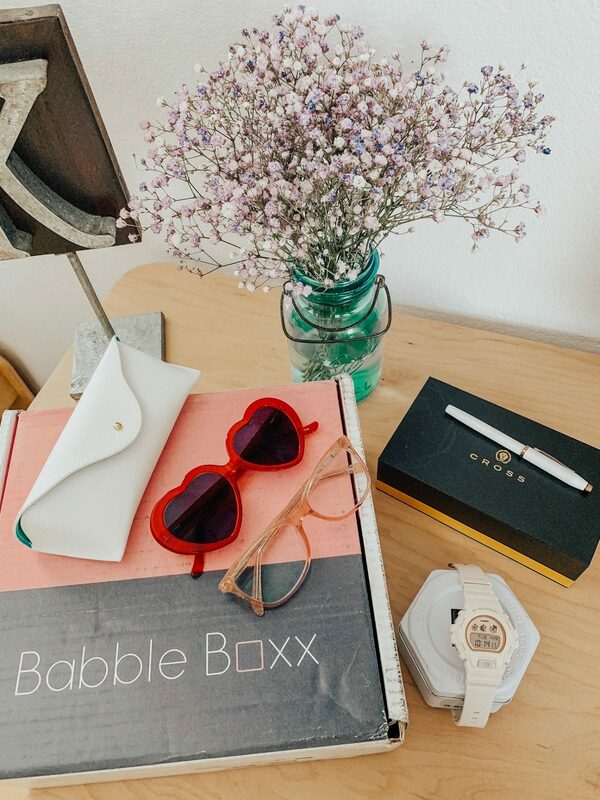 I love working with Babbleboxx because they find the coolest brands to bring awareness too and I’m so glad I get to guinea pig all of the items for you to let you know how much they rock! Thanks for stopping by to read you guys!